Do you want to immerse yourself in Sikh Dharma? Camp Miri Piri is for you! 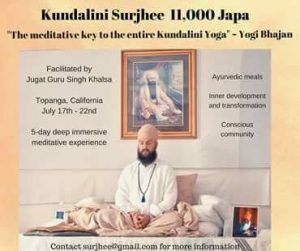 As a practitioner of Kundalini Yoga, are you interested in learning about and having a deep experience of Sikh Dharma? If so, Camp Miri Piri is for you! Camp Miri Piri is for and about Sikhs – four days of sharing the spiritual warrior experience. Here you will find recitation of the five morning Banis, a powerful group Sadhana, challenging physical training, and inspiring Sikh stories and meditation. You will gain an in-depth experience of Sikh values by balancing the mind, body, and spirit through the practice of Gurbani Kirtan, Kundalini Yoga, meditation, and warrior workouts, as well as classes to build healthy relationships. These camps are for adults, age 18 and older, however children are welcome and attend free if accompanied by a parent (and many do!). Written by Guru Arjan Dev ji upon the completion of the Sri Harmandir Sahib, the Golden Temple, it is just as true today as it was then. There is no place on earth like Guru Ram Das’ home, the Harmandir Sahib. Join our sister organization, Sikh Dharma International, October 23th and 24th for the Guru Ram Das Chetna Yatra in India to celebrate Guru Ram Das ji’s birthday. Chetna is a beautiful word that means “awaken.” This yatra will be a trip of seva and devotion to awaken the love of Guru Ram Das in the sangat and in ourselves. Together with our Kirtan jathas, the Yatra will attend programs throughout the Punjab on the 23ed and 24th. We will travel together by bus, returning each night to Amritsar. 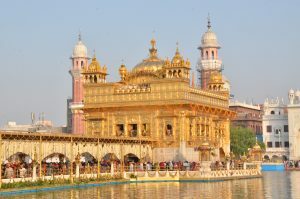 Most mornings will be at your leisure for darshan at Sri Harmandir Sahib and enjoying Amritsar. On October 25th, we will join Miri Piri Academy and the huge sangat of Amritsar in the streets for a jaloose in honor of Guru Ram Das ji. That night we will attend the Raag Kirtan Darbar at the Manji Sahib Hall at Sri Harimandir Sahib to hear classical Kirtan, including our own Chardi Kala Jatha. On October 26th, we will celebrate Guru Ram Das’ birthday with thousands of devotees at the Harimandir Sahib. The crowds will be big and our spirits will be soaring! On October 28th, we will complete the Yatra with Sunday Gurdwara at Miri Piri Academy, tour the campus, and enjoy the school. This is a seva yatra and highly affordable. 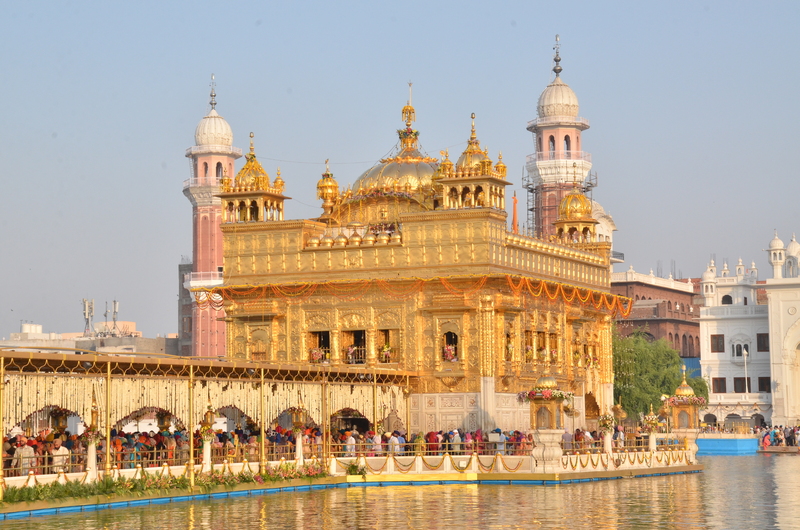 Make this your year to meditate at the Golden Temple of Amritsar! 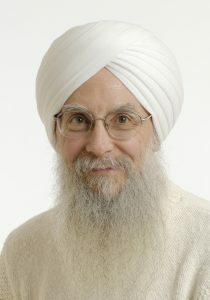 Our very own Sat Bir Singh and Shanti Shanti Kaur, along with Kartar Purkh Singh, Sahib Singh Khalsa and a distinguished host of other scholars, medical professionals, and practitioners will be at Loyola Marymount University for their conference: AYURVEDA: HEALTH FOR BODY AND MIND on October 6-7, 2017. Dr. Sat Bir Singh Khalsa, KRI’s Director of Research, will present: Yoga: The Psychophysiological Science and Research Evidence. As he does each month in our newsletter, Sat Bir will present the scientific research evidence on the benefits of yoga practice in the approach to holistic health. 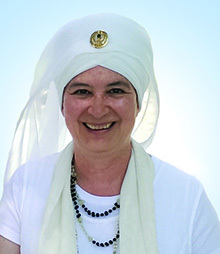 Dr. Shanti Shanti Kaur Khalsa will present on the topic: The Living Vitality of Your Authentic Self. Here, she will lend her wisdom to the enduring topic of how healers can maintain their own health and vital pranas. 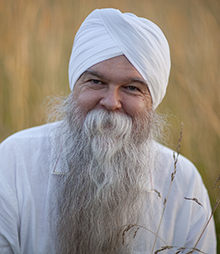 Dr. Karta Purkh Singh Khalsa will present: Treating Neurological Disorders with Ayurveda. Dr. Khalsa brings nearly fifty years of experience integrating herbs and natural medicine into contemporary medical practices. He will share new ideas and dramatic advances in migraine, seizure disorders, dementia, and developmental delay. And I am really excited about the talk planned by Dr. Sahib Singh Khalsa. 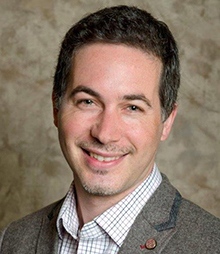 He will present his ground-breaking research on the effects and benefits of meditation : Mind, Body, and Brain: Neuroscience-Based Investigations of Contemplative Practice. Did you know that Loyola Marymount University offers the first Master of Arts in Yoga Studies in America? That is pretty amazing! Graduate students engage in deep study of Yoga philosophy and history, Sanskrit, elements of physical practice, comparative spirituality, and study of India. Learn more about Loyola Marymount University’s Yoga Studies program. Thank you, Dr. Chris Chappel, Dr. Nirinjan Khalsa, and all the other deep-sighted professionals at LMU that are making this great conference happen. Sat Nam! Jugat Guru Singh is a Lead Trainer in the Aquarian Trainer Academy and Principal of Miri Piri Academy. Jugat Guru Singh dedicates his life to his practice and to his teaching. At Miri Piri Academy he trains our next generations of teachers.